Ted Bonner, a Blevins (Ark.) 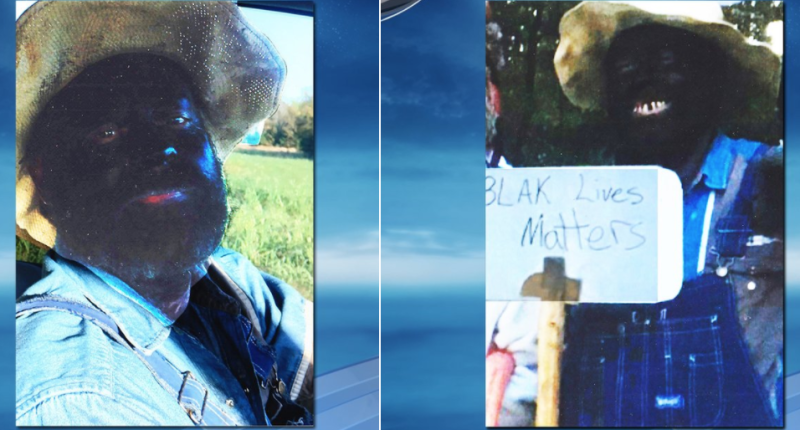 School Board member, painted his face black, distressed his teeth and, while carrying a sign that read, "Blak [sic] Lives Matters," apparently wore the costume to a Halloween party in October, Raw Story reports. Photos of him wearing the costume circulated around social media, and Bonner apologized for them Monday at a school board meeting. "That action does not represent the values of the Blevins School District, the school board or our community," said school board President Justice West. "However, [neither] the school board nor the school administration holds the power under the law to discipline or remove a school board member; only the voters have that power during the next school board election." According to Raw Story, some parents are outraged. "Why is blackface funny?" asked Faye Smith, a parent in the Blevins School District. "I mean, we have a whole race of people who don’t think looking in the mirror is a joke. I don’t appreciate the fact that you’re mocking the thing that I’m teaching my boys is something to be proud of." Bonner could step down from his position on the school board, but there is no mechanism in place to remove him.